It is great to see the focus on eating local and supporting local farms. The growth of farmers markets, organically grown produce, and the variety of artisan food products are all encouraging signs. But as a farm based business, I hope that people recognize that farms produce more than food products. 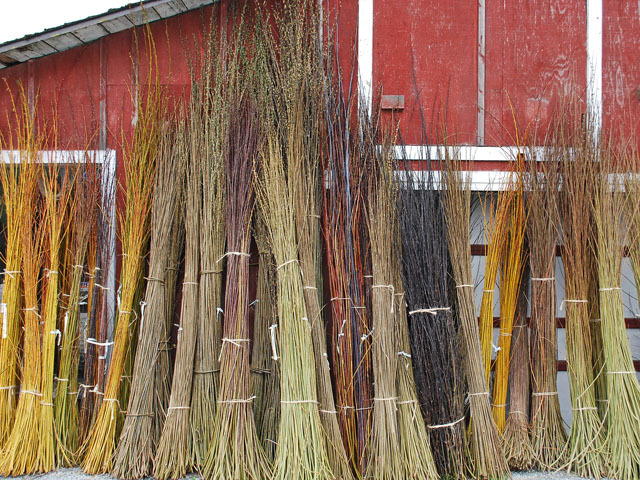 Farms also grow and harvest fiber crops, lumber, ornamentals, nursery plants, biofuels, and more. We all use and depend on these crops, but are we giving the same thought to where and how they are produced? There is a lot of opportunity to encourage the same support for domestic producers of these non food crops as we are seeing in the “local food” movement. 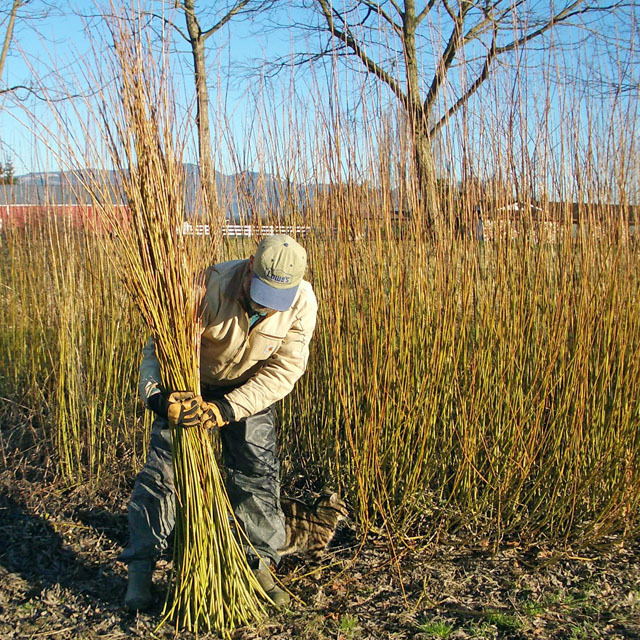 Many people don’t even think our basketry willow is a farm crop. 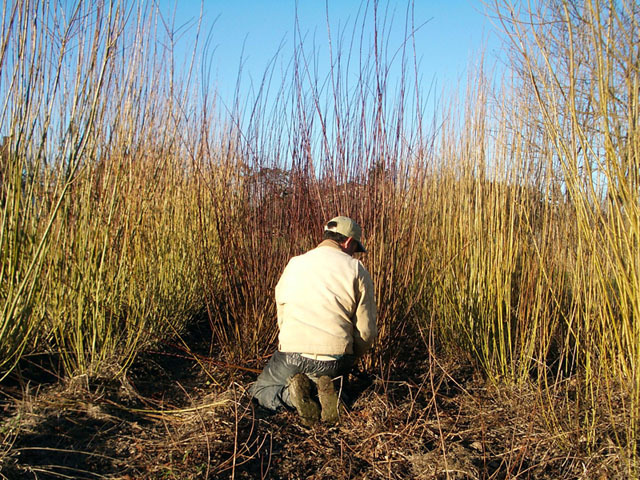 They imagine us going out and cutting mature willow trees somewhere. 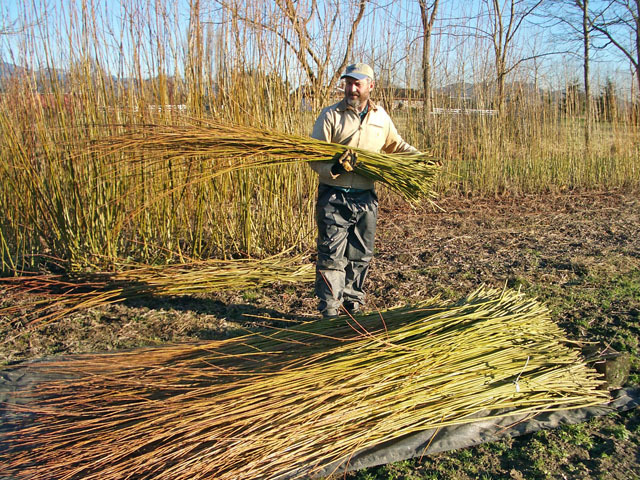 One of our goals is to show people the potential of growing a crop like willow on small farms or gardens and using it to craft functional goods. Our small farm is similar to many that use a so called value-added product to get a better return on the energy we invest. 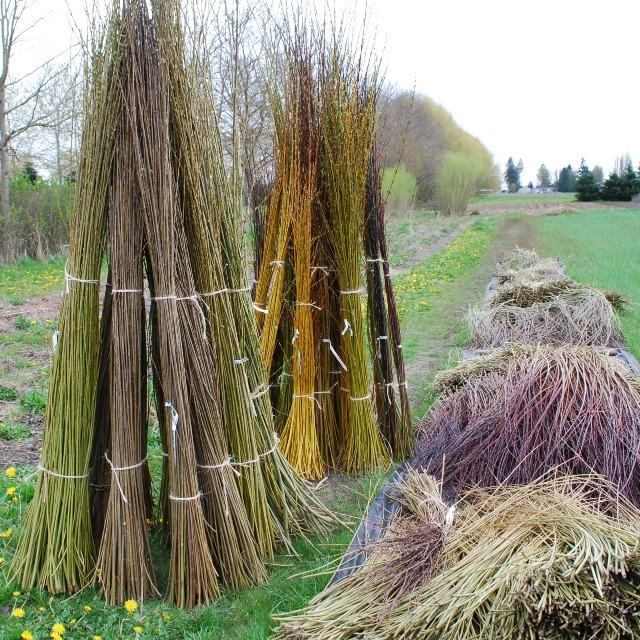 Instead of turning milk into cheese, we are turning willow into baskets. Granted that the cheese is a more essential product, but it isn’t unreasonable to suggest that willow farms producing baskets or sheep ranchers producing wool or even clothing can be part of a local farm economy. Of course, one of the challenges facing producers of these non-perishable handcrafted items are the low cost alternatives imported from less developed countries. Stores like our local food co-operative are a great source of locally grown farm products, but they also sell inexpensive handcrafted products in the mercantile section. Many of these goods are made by people on the other side of the globe, but they are labeled “fair trade” which makes it easy for us to feel good about their purchase while getting a good price. 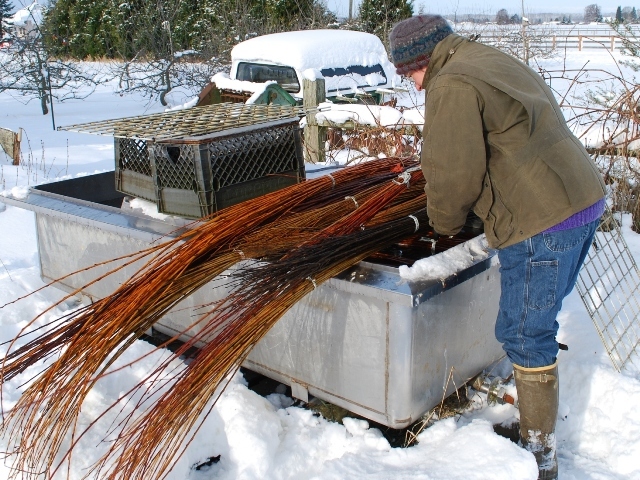 So the basketmaker has to find a market niche just like the winemaker who has their own vineyard might. Not everyone will want or need our product, but hopefully our business is included in the conversation about local farms, the economy, ecologically friendly practices, and sustainability. Happy Thanksgiving from Dunbar Gardens! 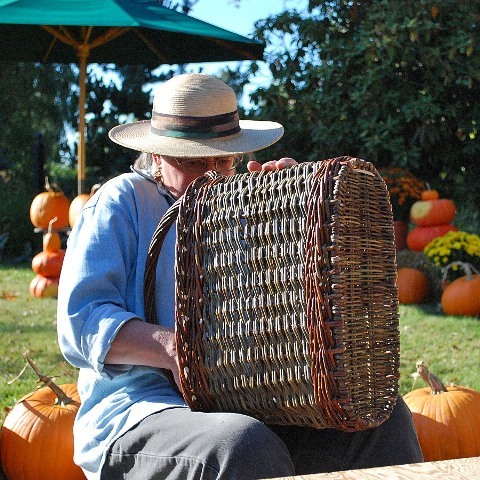 We’re posting a slide show of photos taken at the farmstand. Hopefully you will be enjoying some tasty fruits and vegetables from your garden or a farm near you this holiday. This past weekend Katherine was at the farm of our friends Eddie and Todd Gordon as part of the annual Skagit Valley Festival of Family Farms. 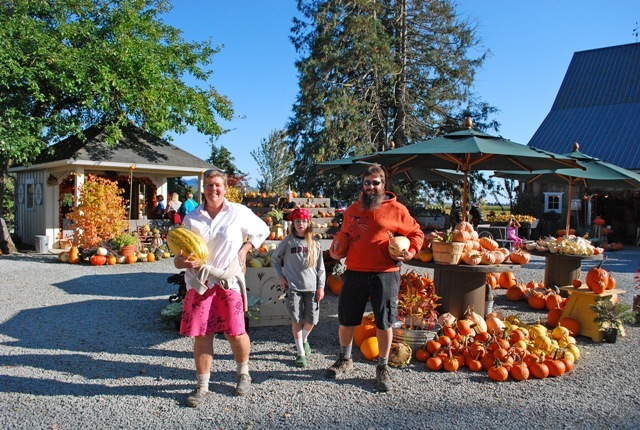 Every year about a dozen farms in the valley host an open house for visitors to enjoy and explore the diversity of our farm community. 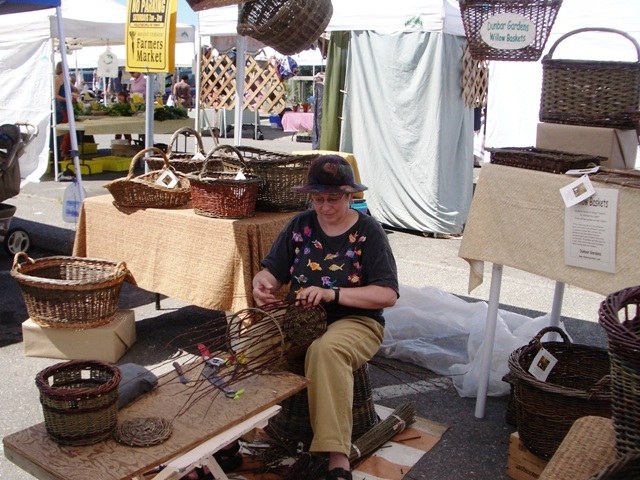 Katherine has been doing a willow basketmaking demonstration at Gordon Skagit Farm the past five years. It’s a real family event and Katherine spends a lot of time talking to inquisitive children, especially the girls. Eddie Gordon has invited a number of his friends to participate in the event to make it both fun and educational. 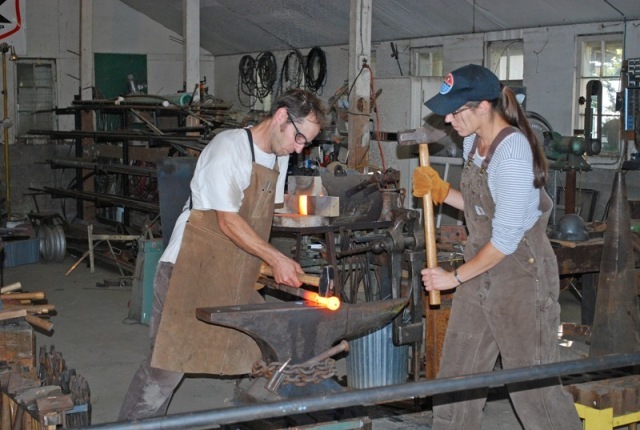 Besides Katherine doing a basketry demo, there is Adair Orr doing some blacksmithing, helped out by his partner Missy Holland and his father Frank Orr. Julie Blazek sets up with honey bee info. Then there are goodies like hot cider and baked goods by the La Conner school culinary program run by Georgia Johnson. 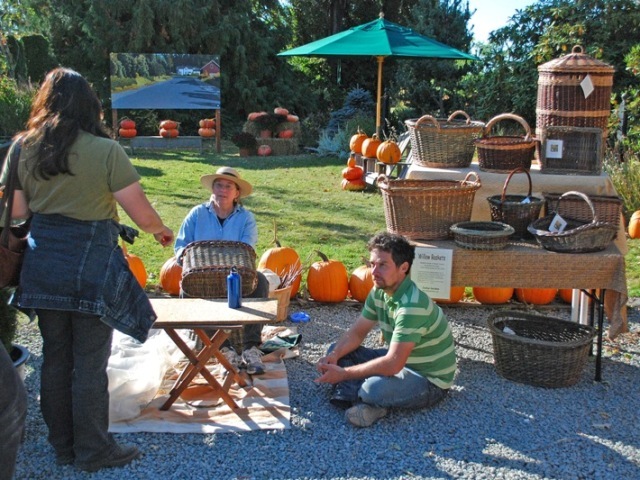 Of course, the real draw is the fabulous variety of pumpkins, squash, and gourds that the Gordons grow and display so well. It’s a great spot to run into friends as well, like my friends Vicki and Randy who have a farm down in Silvana. They were checking out some of the unusual squash for their own table or perhaps to add to their list of produce they produce for their CSA someday. That’s the head pumpkin getting a quick chat in with Katherine. Thanks Eddie. 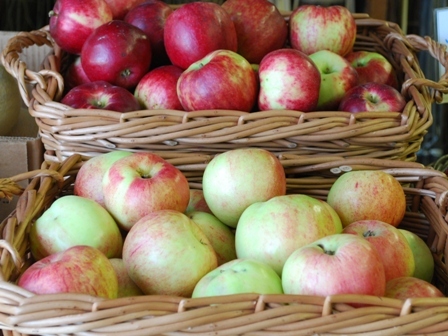 Skagit Valley “Eat Local Week” is September 14-20. This event is sponsored by the local Slow Food group, and as they say “happens mostly at the end of your fork.” The idea is to encourage people to support the local food economy by visiting farmstands, farmers markets, and local restaurants featuring our valley’s growers and food producers. The week ends with community picnics in five locations. 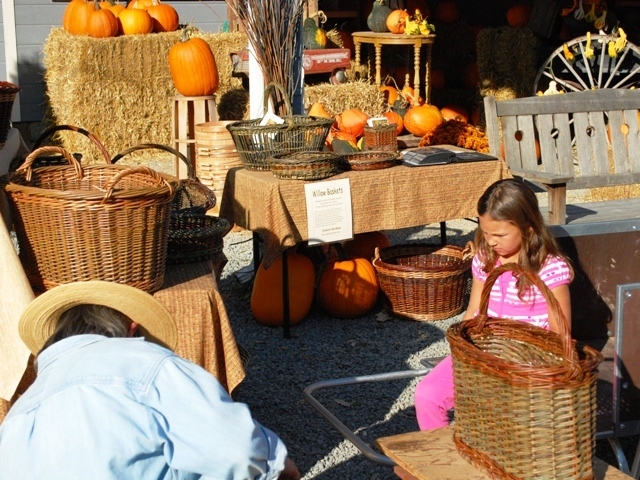 It’s a good week to have this celebration in our area as the summer and fall harvest seasons start to overlap. 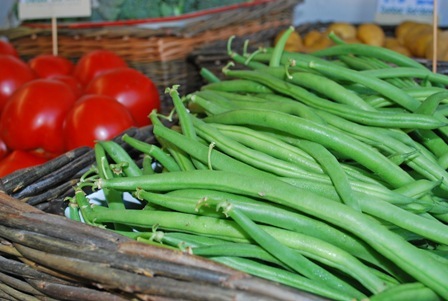 We have summer foods like tomatoes and beans along with the autumn harvest of apples and squash. 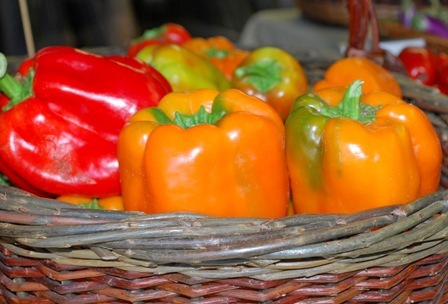 You can always check out what we have at our farm stand on our website. If you’re dining out in our area, we recommend the restaurant we have been selling to for several years – Nell Thorn Restaurant & Pub in nearby La Conner. Check out an earlier post I wrote about them. Their order this week included Sungold tomatoes, cannellini beans, green beans, baby artichokes, eggplant, peppers, sweet corn, zucchini, cauliflower, broccoli, chard, pears, Burgundy apples, and herbs.